LEGO games seem to never stop coming and I’ve played quite a few of them sporadically over the years on various systems. 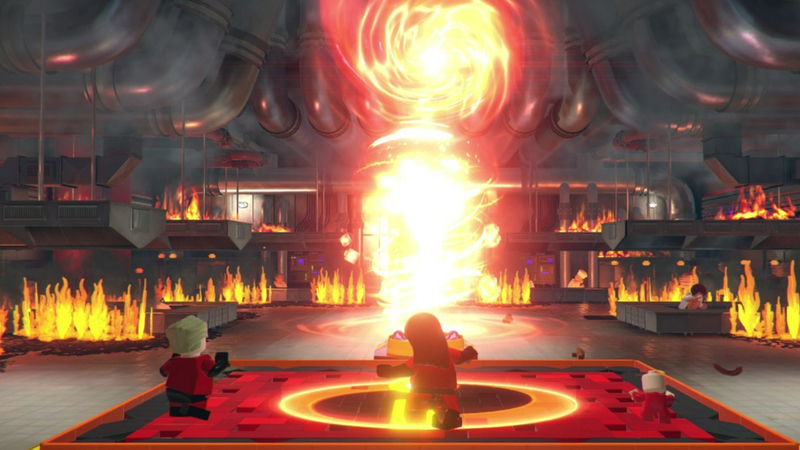 LEGO The Incredibles will be my first foray into the series on the Nintendo Switch, and one that I genuinely looked forward to considering the nature of the platform. Because of this, I was excited to see how these games would fare, especially in the handheld mode. I was also excited to get back to beating up every inanimate object and watching those studs explode out and all over the ground. Story-wise there isn’t really much to tell that you won’t already know if you’ve seen the two The Incredibles films. Per the norm for LEGO movie titles, you get to experience the films’ plots in LEGO fashion. The game surprisingly kicks off with The Incredibles 2 first, and only after completing the sequel’s story, do you get to revisit The Incredibles original film. They really capture the comically fun nature and humor of the PIXAR style films, as I found myself fully invested in the story and characters, sometimes even laughing out loud at the jokes. My favorite moment was wrestling as Jack-Jack with a racoon, which led to some interesting boss battle sequences. 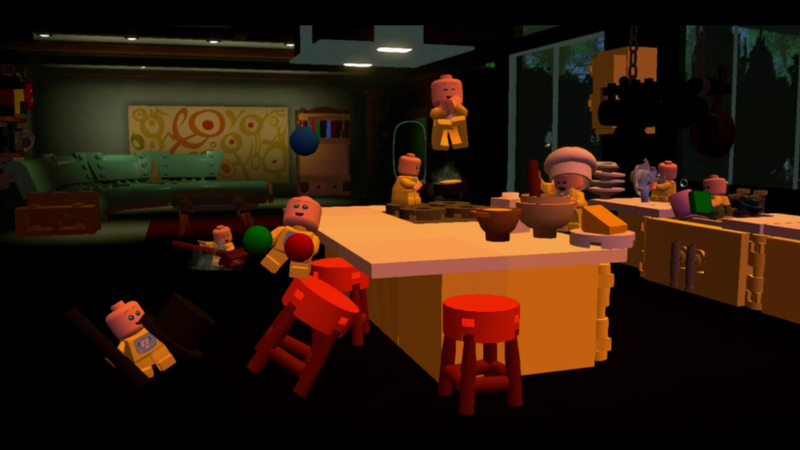 LEGO games are always entertaining, but none of them have done humor as well as The Incredibles. Honestly going through the movies’ story lines is fine in of itself, but where this game shines is in the open-world mode. You can run around and swap in and out various characters as you assist citizens, recover various bricks, and just farm studs to help unlock more. I thoroughly enjoyed exploring the various areas and cities trying out different characters. I spent hours figuring out which characters were best for getting around the quickest, and which ones were the most fun when it came to combat. As for combat and other mechanics of the game, controls are fairly straight forward when it comes to the brawling aspect of the fighting. You basically can button mash your way through enemies, punching and kicking, or jump kicking them to defeat. I found the jump kick to be a cheap and easy way to take on the most basic enemies. There is a special attack you build up and can unleash for a quick powerful burst, and it seemed to fill up at a decent rate. Each character has various powers that can be activated to help in combat, get past obstacles, or combine with other characters. Jack-Jack was probably the most stand out character in terms of mechanics, as he had three different forms that let you attack with different powers and perform various tasks. Similar to past LEGO games, there is plenty to unlock in story and the open world. While the roster isn’t as extensive as many other LEGO super hero games, I loved opening up the mystery bags to see which character came next. No matter my age, young or old, getting that character you were clamoring for still feels so gratifying. You can also find plenty more to uncover and unlock like Gold Bricks, Incredibricks, vehicles and more. My favorite was the Incredibricks. 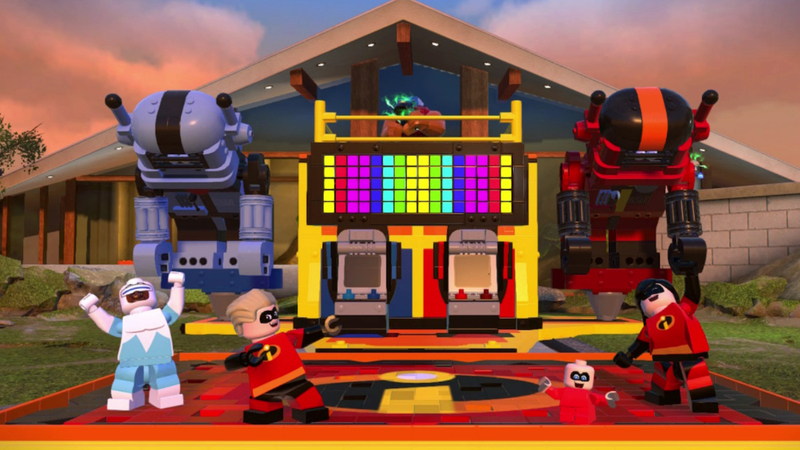 It felt so satisfying to find enough of them to jump on to an Incredibles branded building pad, and kick off a brief button mashing mini-game to build various sculptures, reefs, a huge robot fighting toy, and more. As much fun as I had with this game, I couldn’t help but feel disappointed in quite a few aspects. While I understand the need to be simple in the combat based on the target audience, I feel like a bit more complexity would take the LEGO games a step forward that is much-needed. Power mechanics and the way they combine with other characters’ powers felt great, but the combat just started feeling stale the longer I played the game. Also while in combat, the AI of your squad isn’t the brightest. While they will fight the enemy characters most of the time, I few times I noticed they were just standing there getting beat up. The amount of enemies on-screen isn’t overwhelming at all, but it kind of breaks immersion of being a team when they don’t assist as much as the player would like them to. The biggest complaint I had with this game were the load times, primarily when entering the open world. Story missions for the most part loaded pretty quickly, but going in to the open world was taking upwards of three to four minutes to load. This was really frustrating while playing with the Switch in handheld mode. Sadly this problem seems to extend to other console versions of the game as well, so it isn’t a Switch specific problem. I also wish the swapping of characters was a bit more instant. While it only took about five to ten seconds to change out to another hero, when it was only to take advantage of the specific power to get past an obstacle and the switch back, it made the time stand out a bit more. I additionally found some frame rate issues during cut scenes that caused some stuttering, but I never noticed any issues during actual game-play. LEGO The Incredibles won’t change the mind of anyone who has grown tired of the LEGO games, but if you are a fan of PIXAR or The Incredibles, this is one to check out. Going through the stories only takes about seven hours, but delving in to the open world and story free mode really adds a lot of replayability. This makes it a really good experience on the Nintendo Switch, where outside the slow load times and combat that needs a good revamp, it is an entertaining way to kill some time on the go. Let’s be honest here: destroying absolutely everything you can and seeing LEGO studs explode everywhere still feels super satisfying. 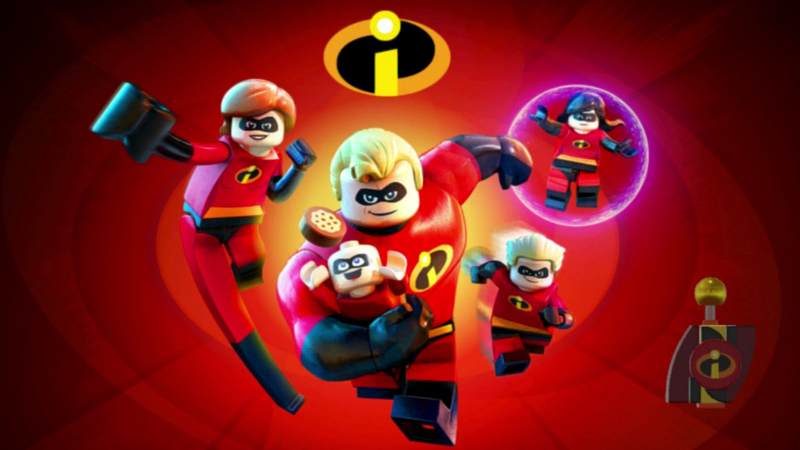 Despite glaring load time issues and stale combat, LEGO The Incredibles still makes for an overall fun experience that captures the humor of the movies perfectly.